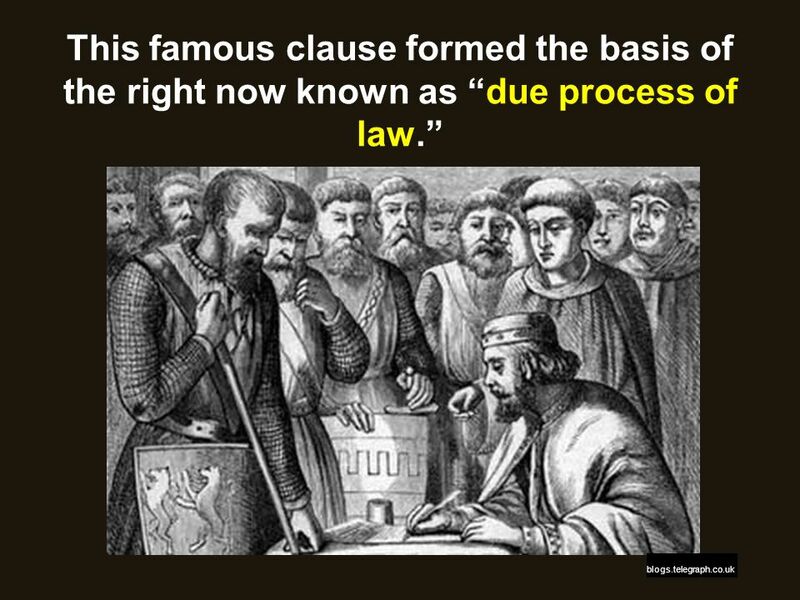 Presentation by Robert L. Martinez Primary Content Source: Prentice Hall World History Images as cited. 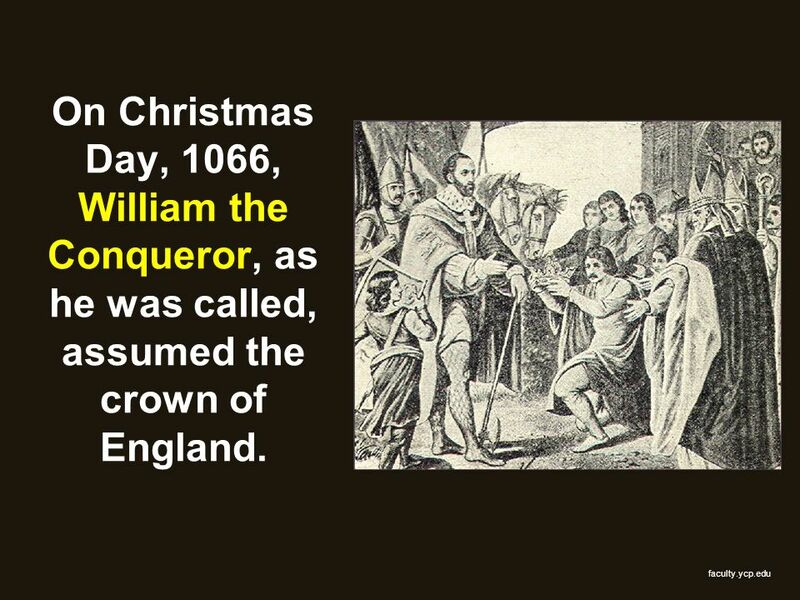 9 On Christmas Day, 1066, William the Conqueror, as he was called, assumed the crown of England. 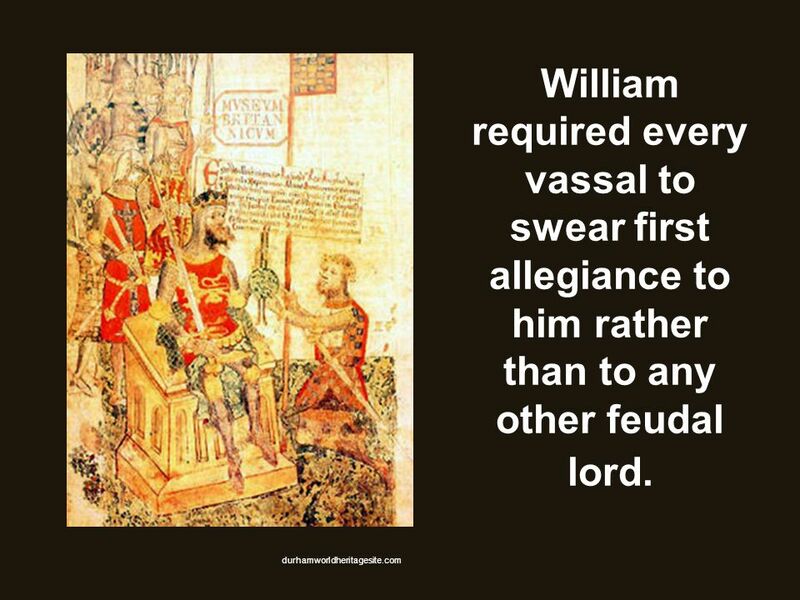 11 William required every vassal to swear first allegiance to him rather than to any other feudal lord. 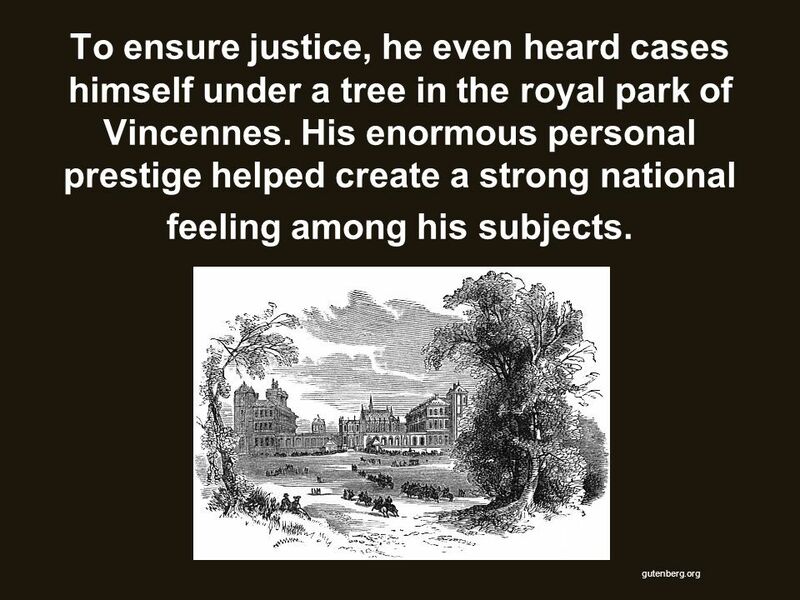 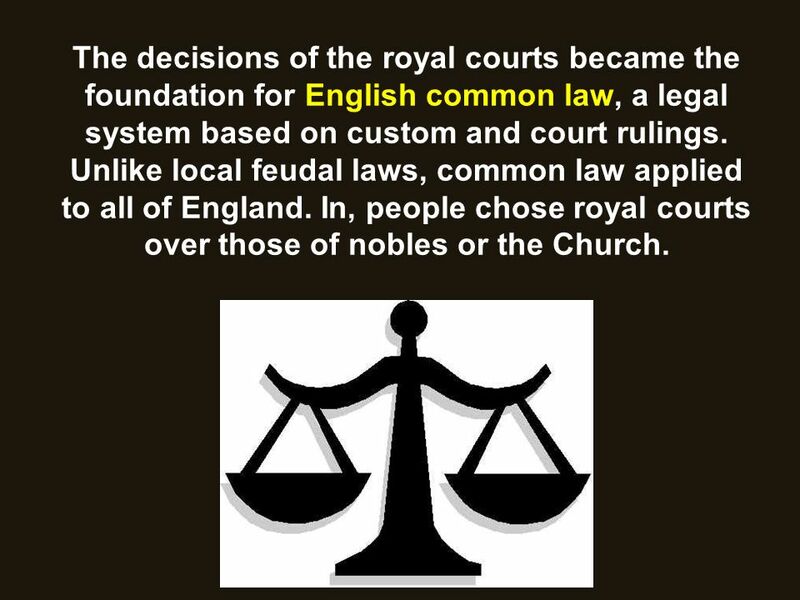 14 The decisions of the royal courts became the foundation for English common law, a legal system based on custom and court rulings. 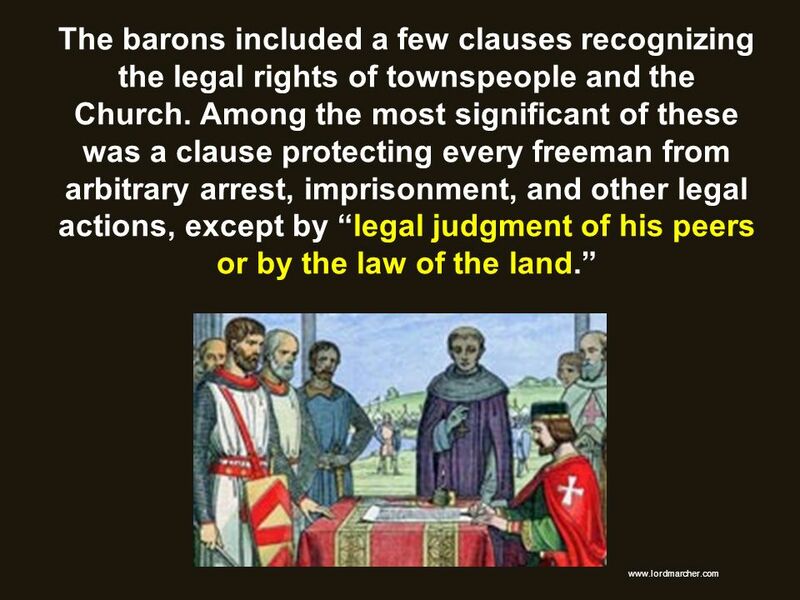 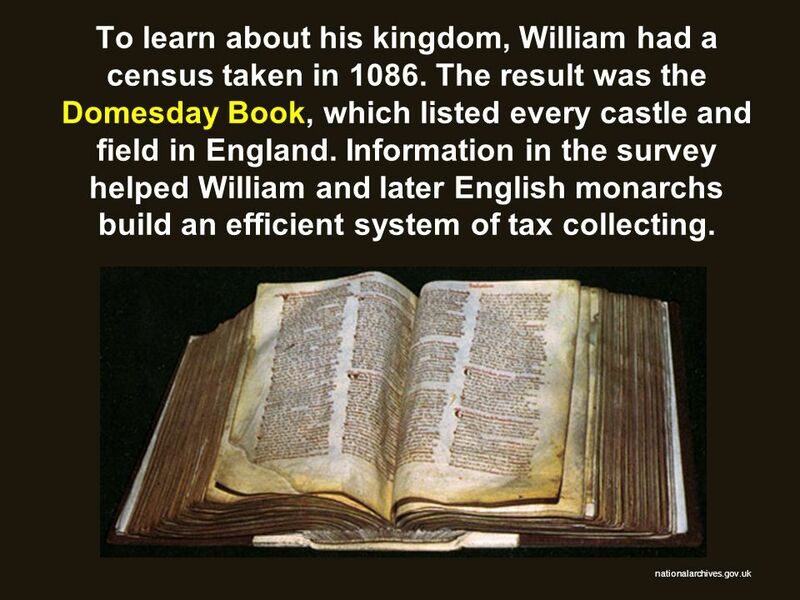 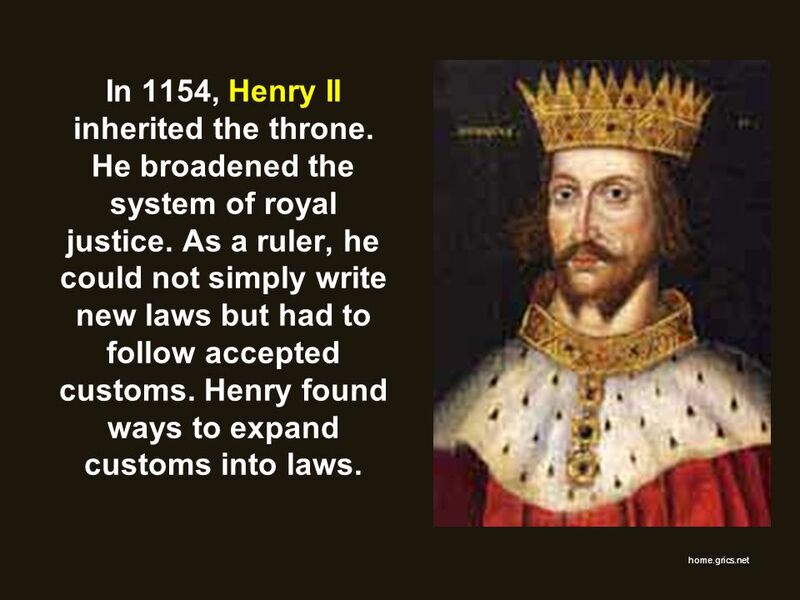 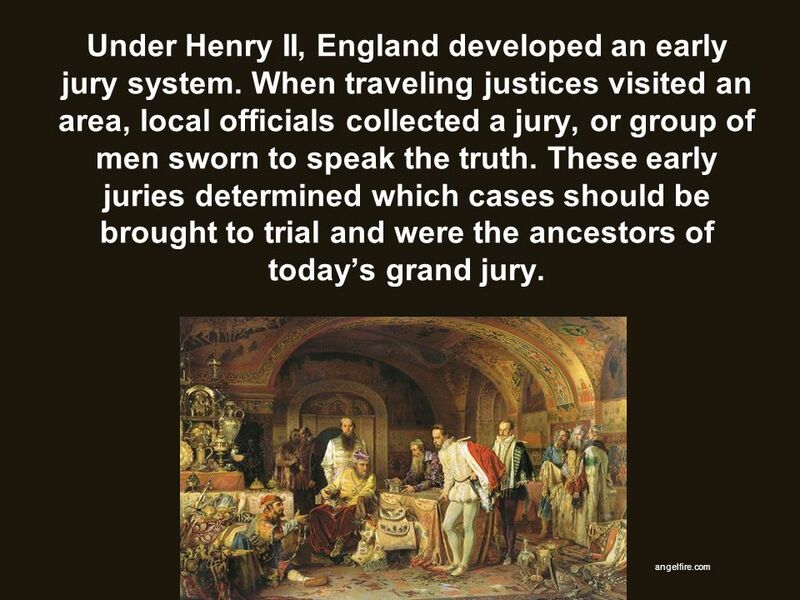 Unlike local feudal laws, common law applied to all of England. 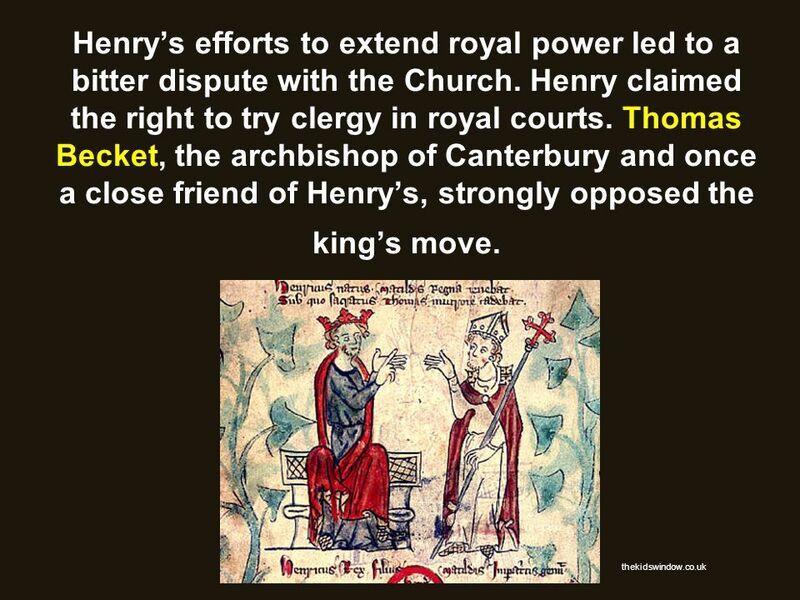 In, people chose royal courts over those of nobles or the Church. 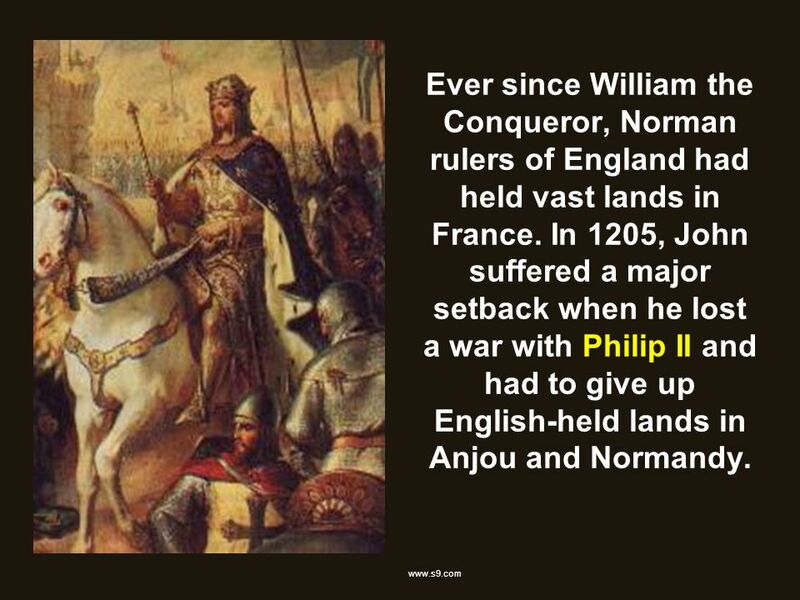 20 Ever since William the Conqueror, Norman rulers of England had held vast lands in France. 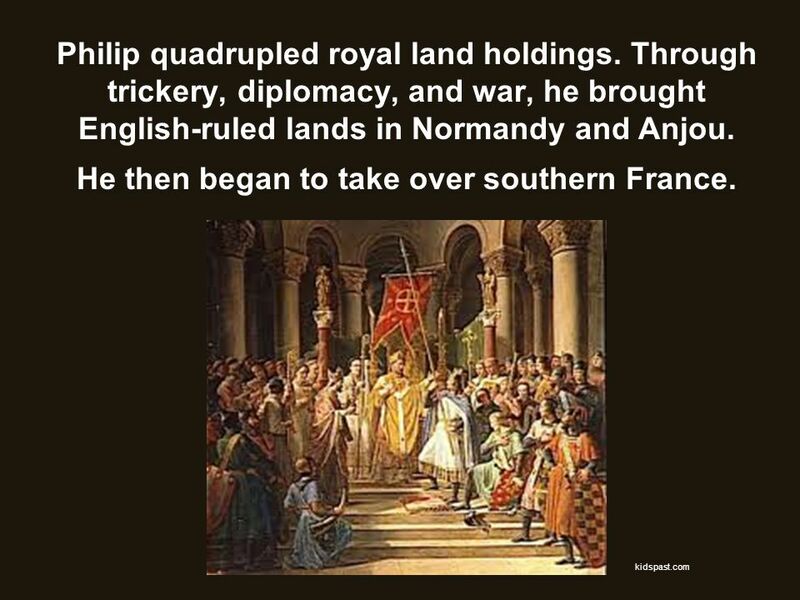 In 1205, John suffered a major setback when he lost a war with Philip II and had to give up English-held lands in Anjou and Normandy. 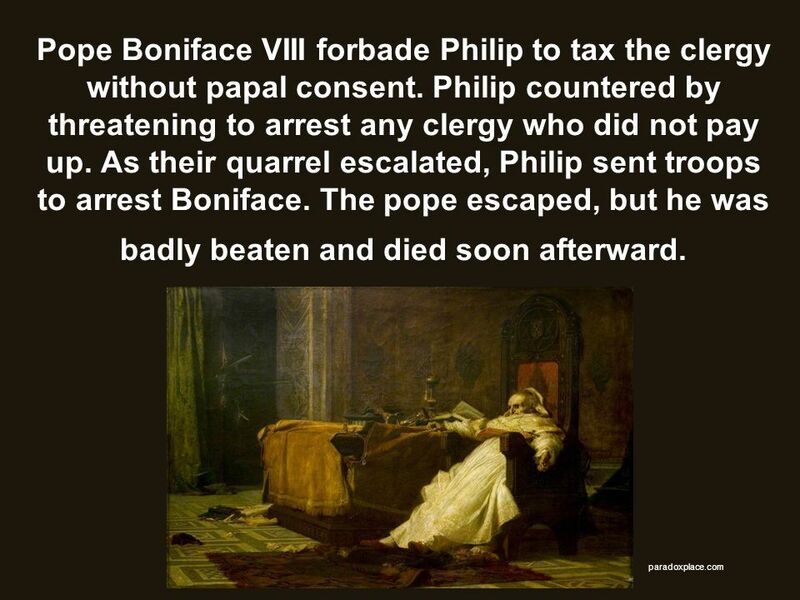 21 Next, John battled with Pope Innocent III over selecting a new archbishop of Canterbury. 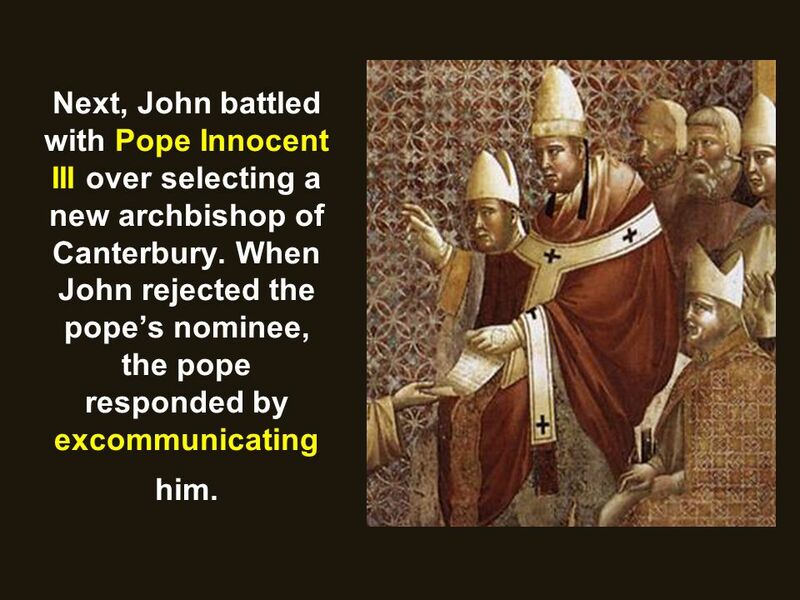 When John rejected the pope’s nominee, the pope responded by excommunicating him. 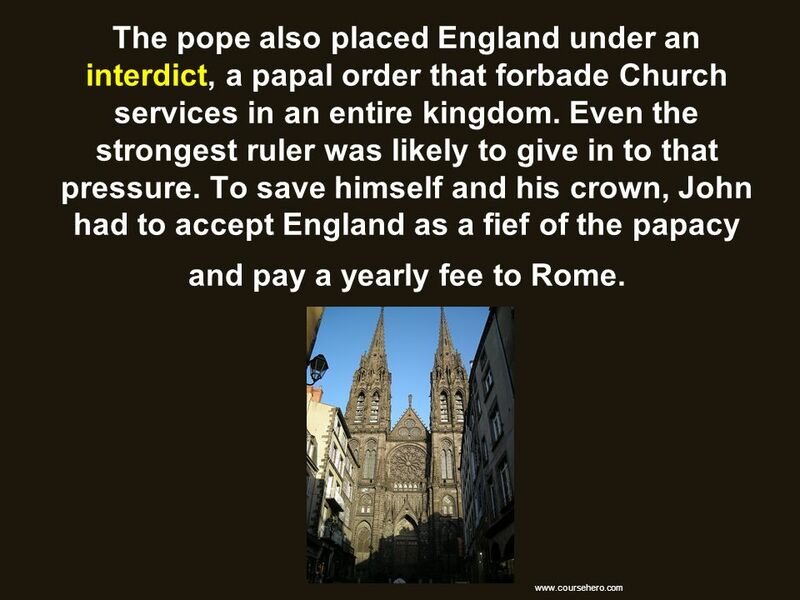 22 The pope also placed England under an interdict, a papal order that forbade Church services in an entire kingdom. 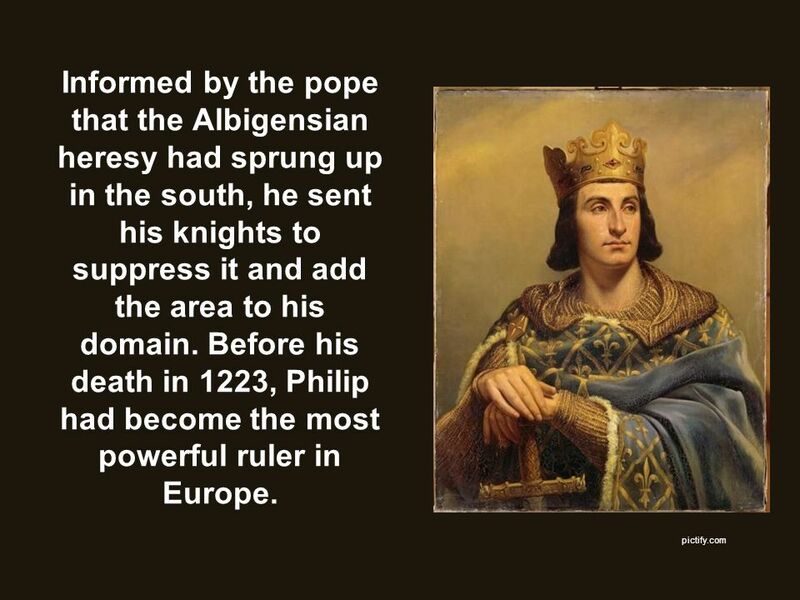 Even the strongest ruler was likely to give in to that pressure. 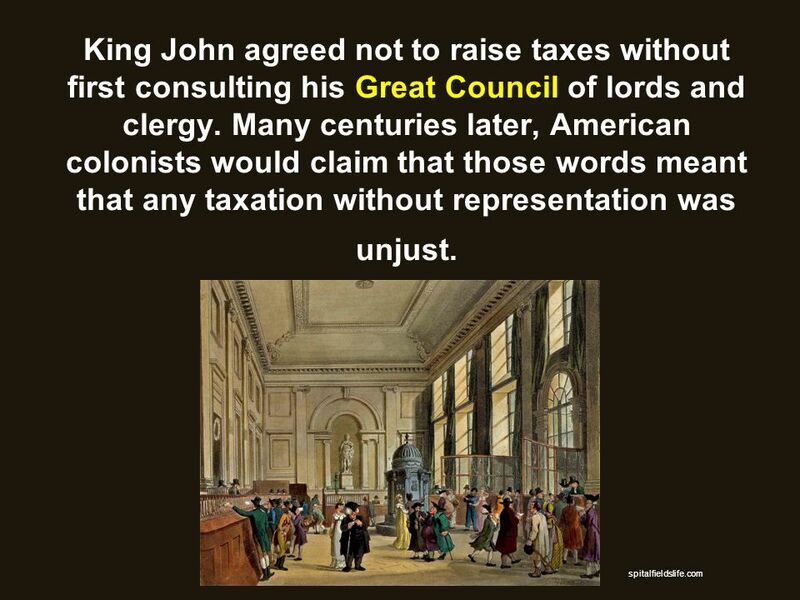 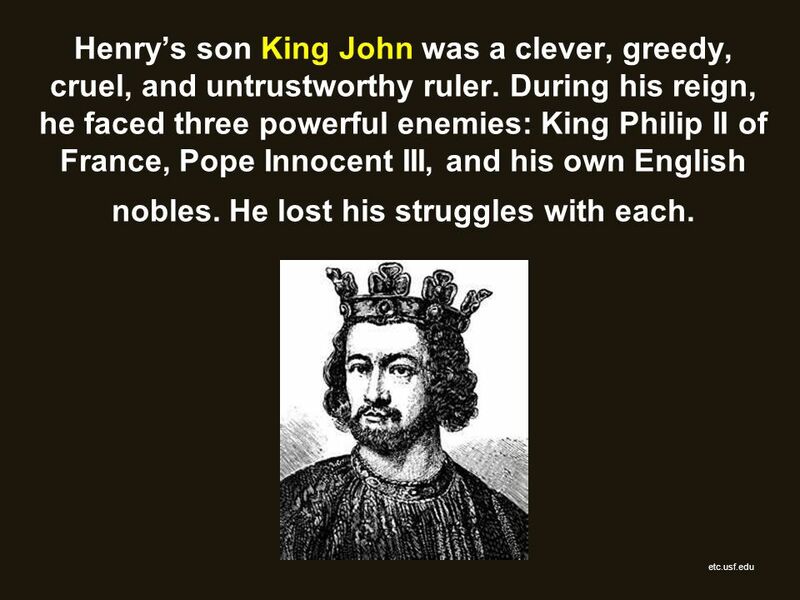 To save himself and his crown, John had to accept England as a fief of the papacy and pay a yearly fee to Rome. 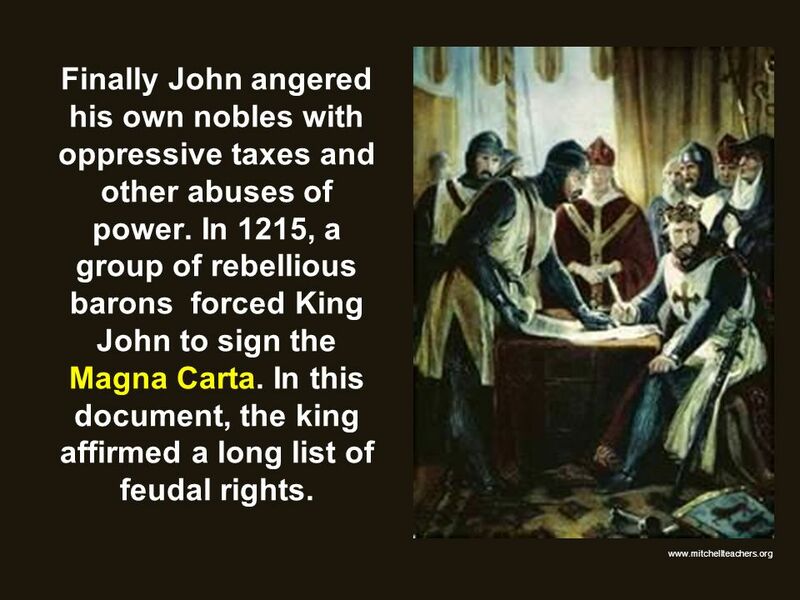 23 Finally John angered his own nobles with oppressive taxes and other abuses of power. 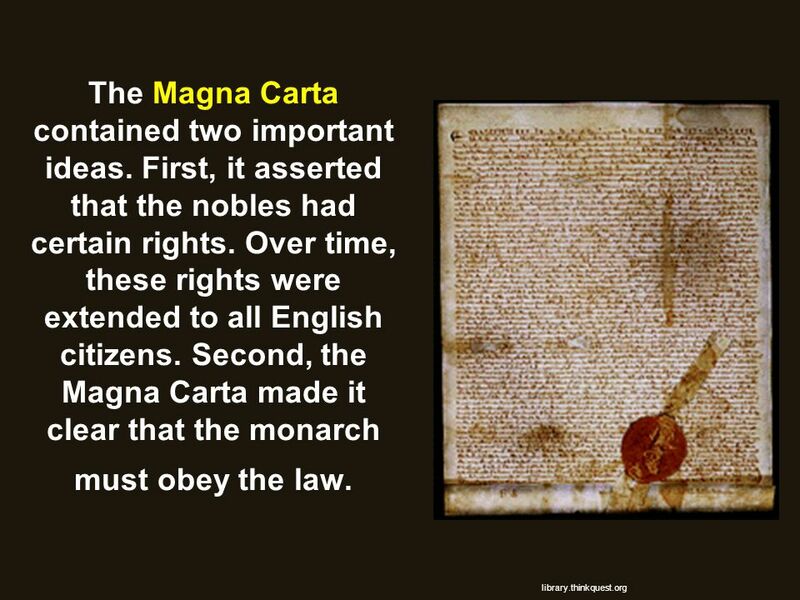 In 1215, a group of rebellious barons forced King John to sign the Magna Carta. 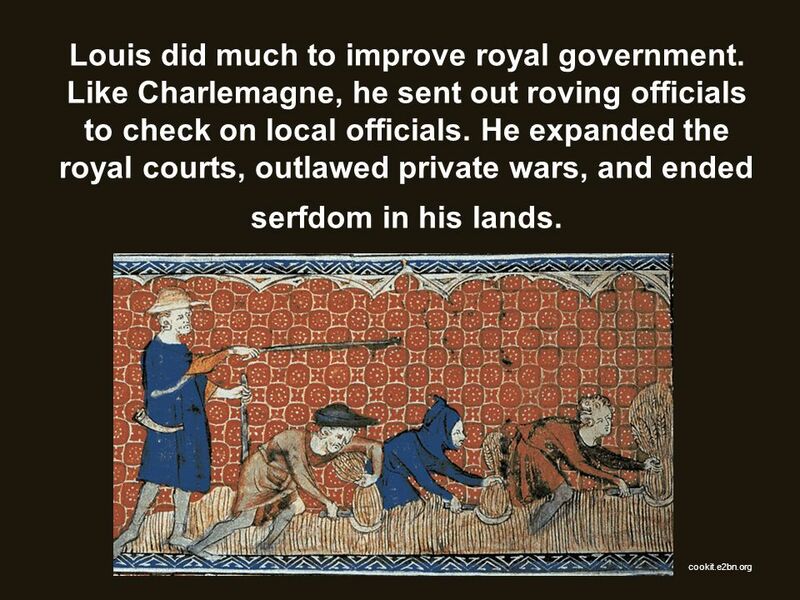 In this document, the king affirmed a long list of feudal rights. 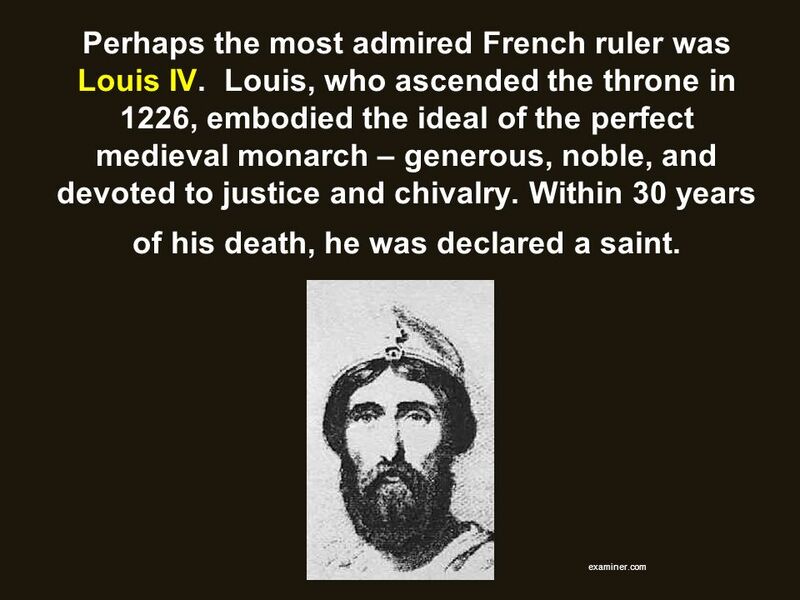 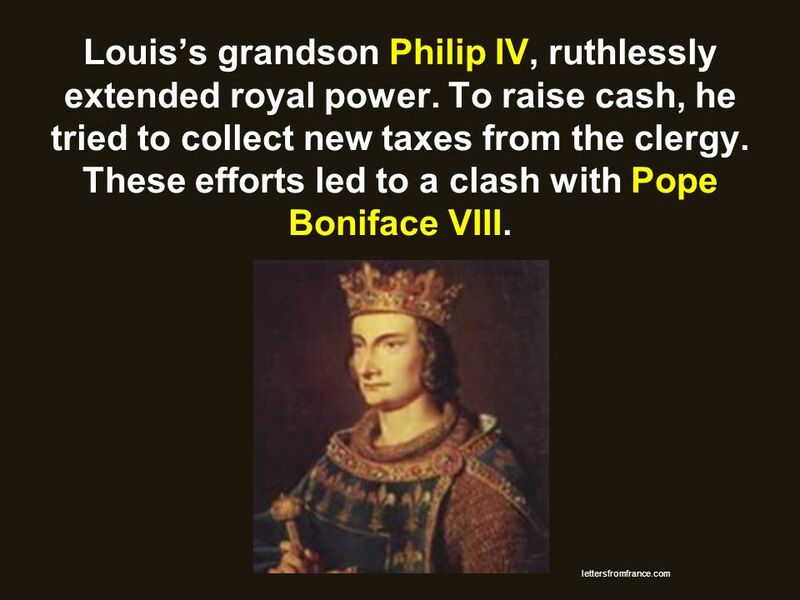 40 King Louis IV was a deeply religious man, and he pursued religious goals that were acceptable to Christians in his day. 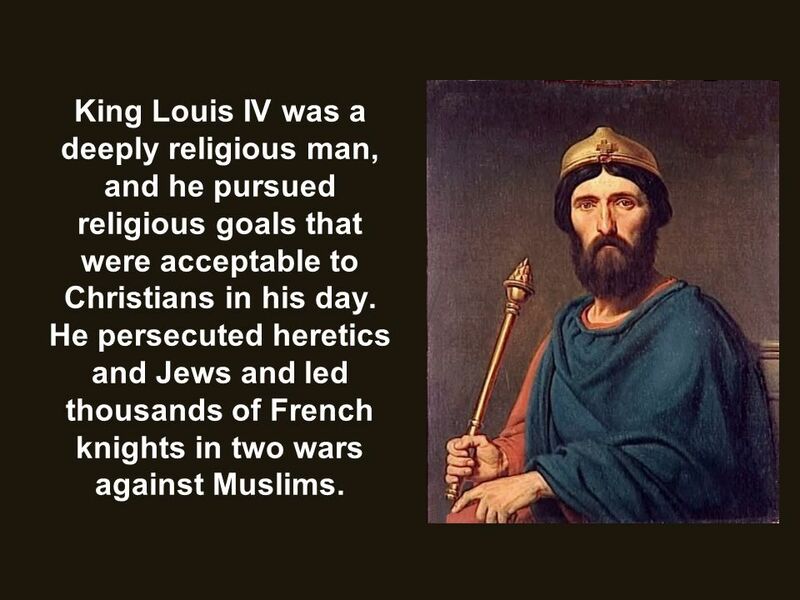 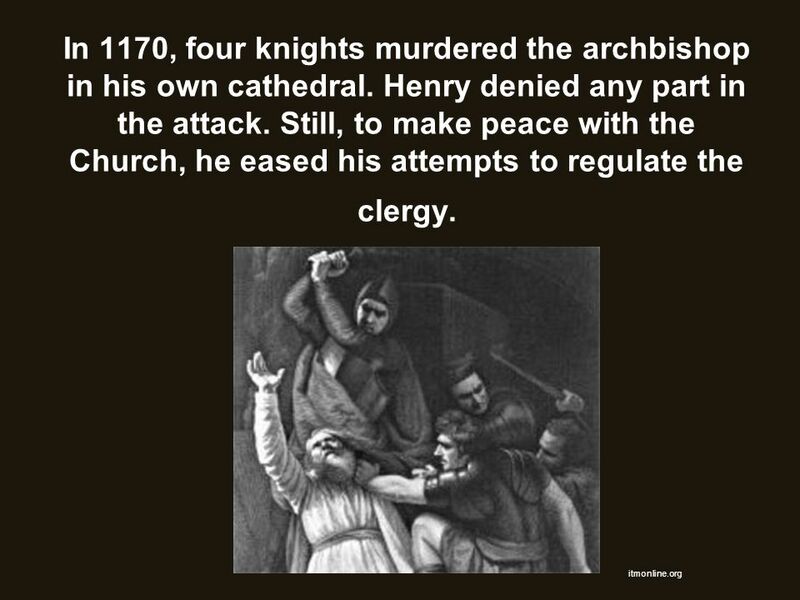 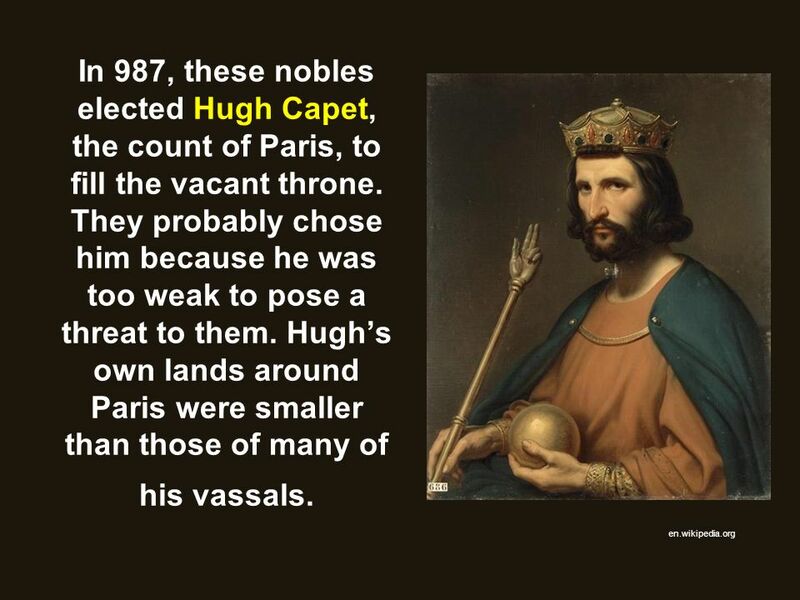 He persecuted heretics and Jews and led thousands of French knights in two wars against Muslims. 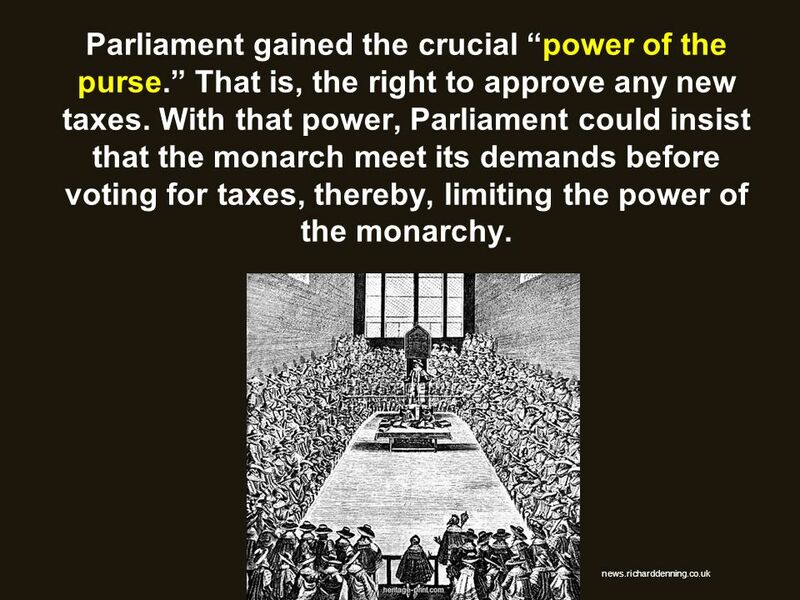 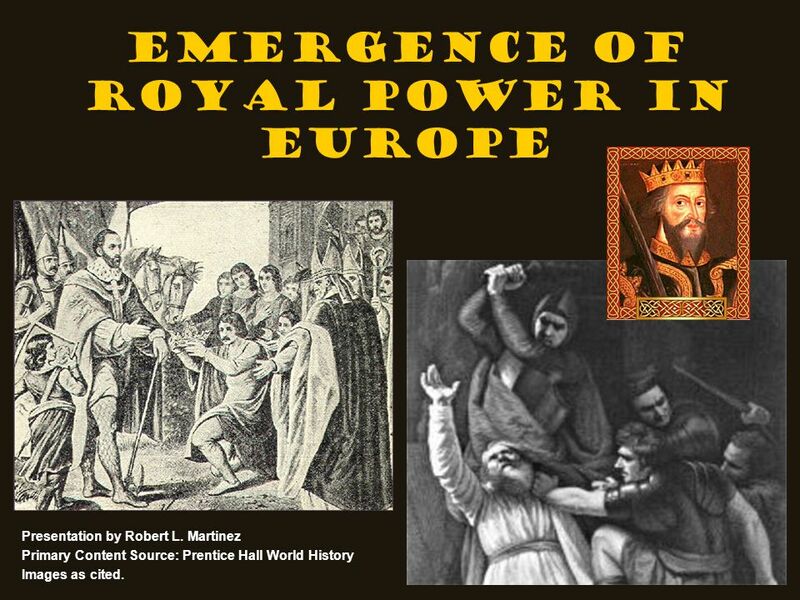 Download ppt "Emergence of Royal Power in Europe"
European History. 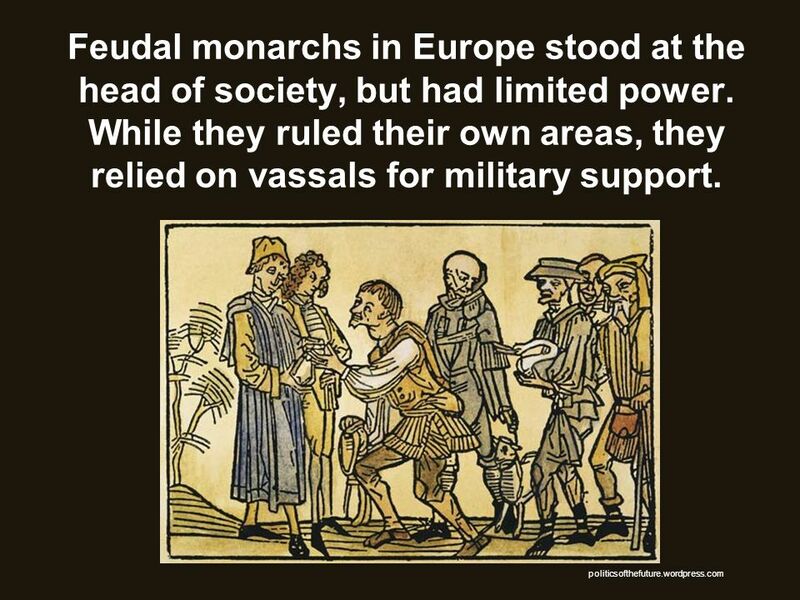  Feudal Monarchs stood at the head of society, but had little power  Monarchs still relied on vassals for military support  Monarchs. 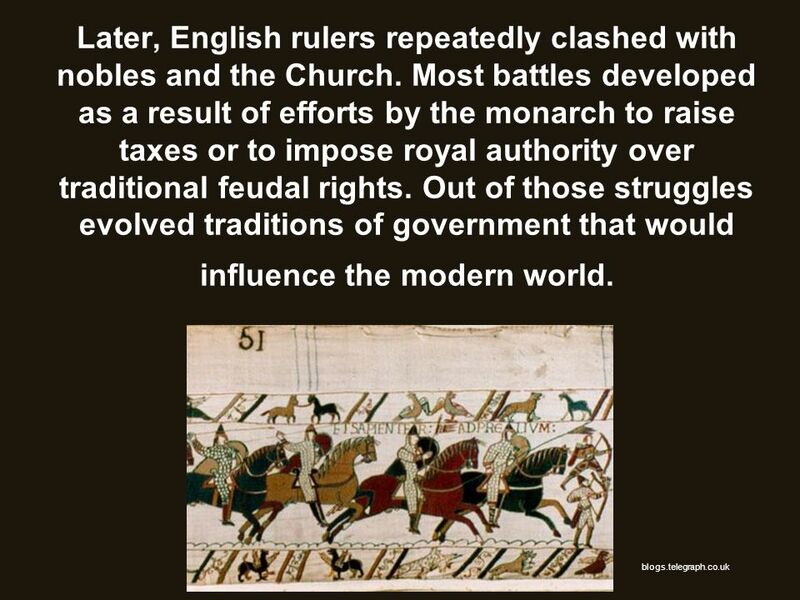 They clashed repeatedly, trying to increase their power. 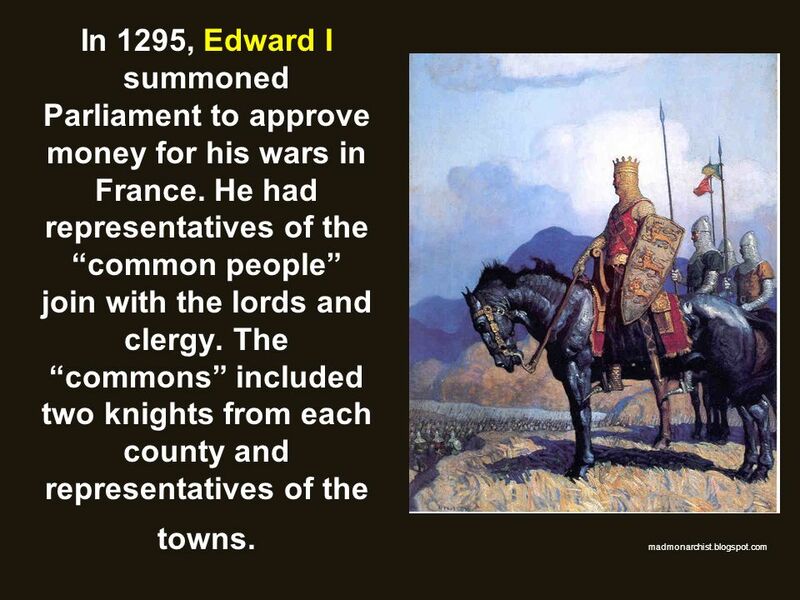 Kings, Conquests, & Secular Life in Medieval Europe Mr. Koch World History A Forest Lake High School. 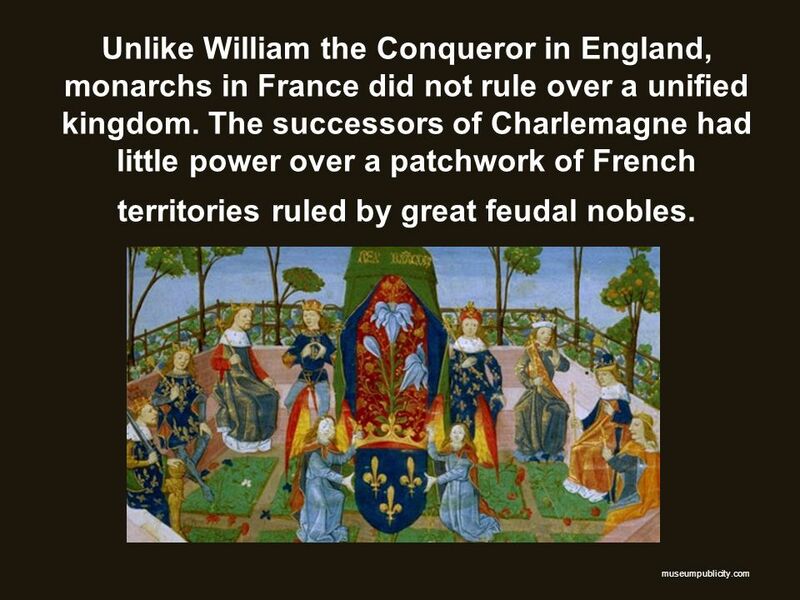 England and France Develop Aim: How did the development of France and England lead to democratic traditions? 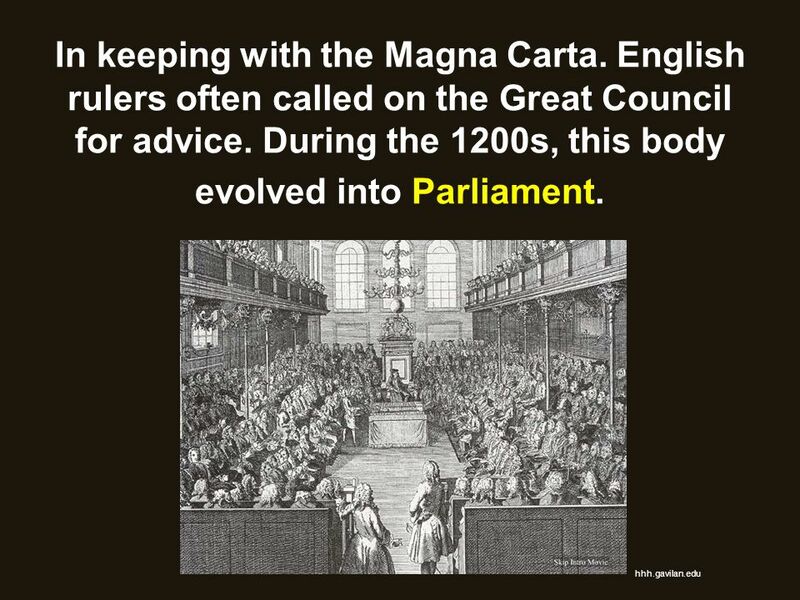 Do Now: What role did the guilds play in the. 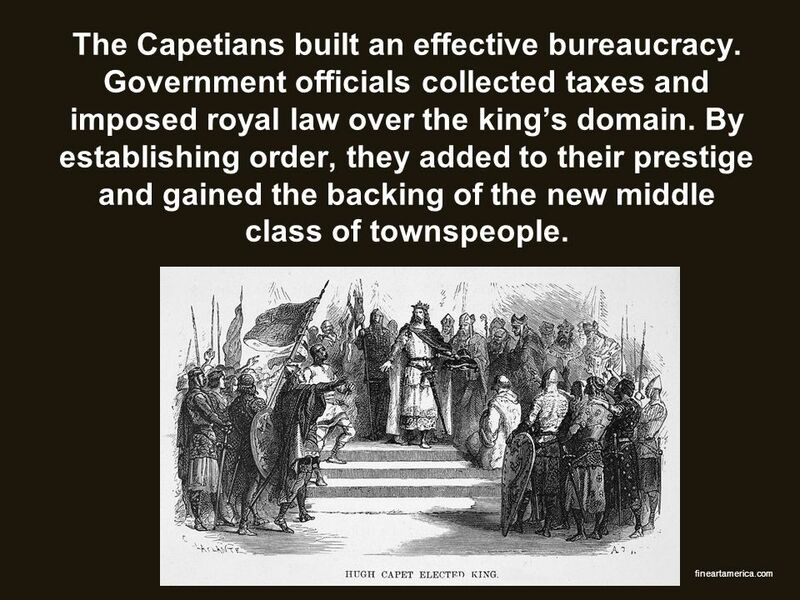 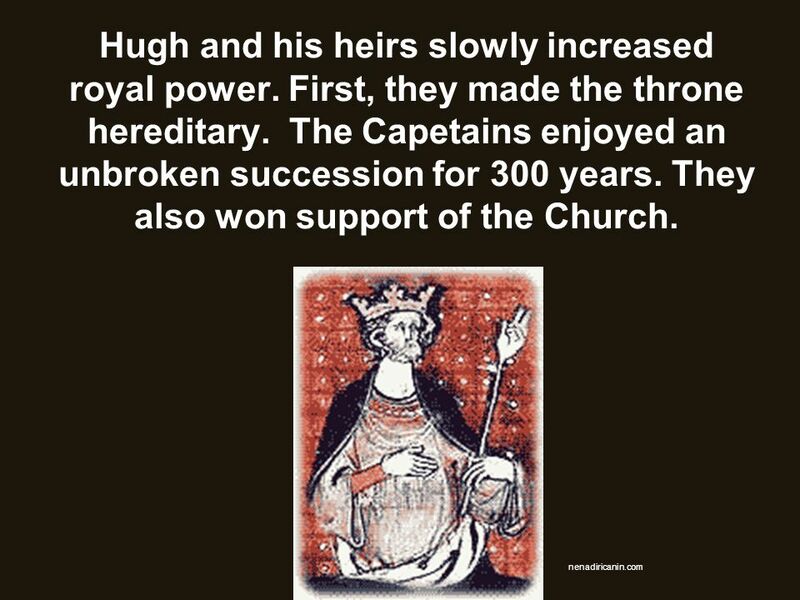 1/28 Focus: Kings began to gain more power and centralize power during the high middle ages England was one of the first countries in Europe to develop. 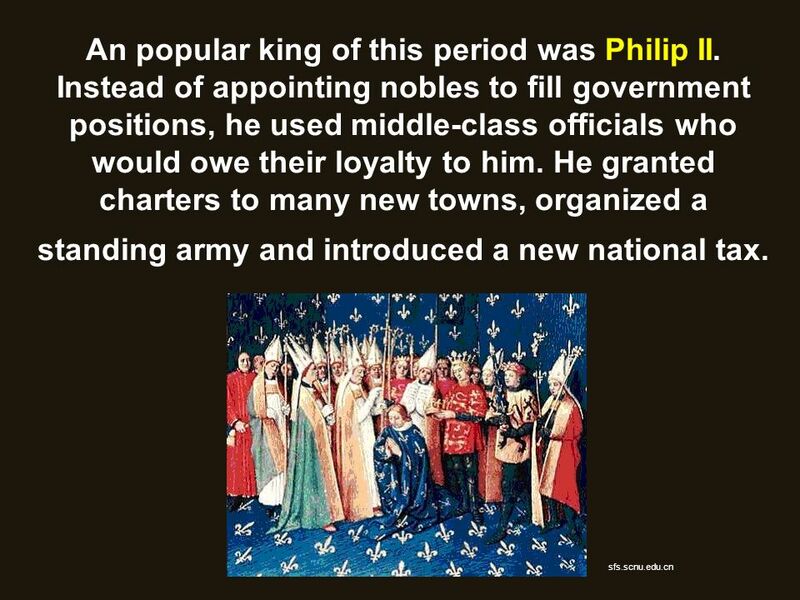 High and Late Middle Ages Where it begins… -Feudalism is the way of life -Church & Nobles have a great deal of the power -Monarchs will attempt. 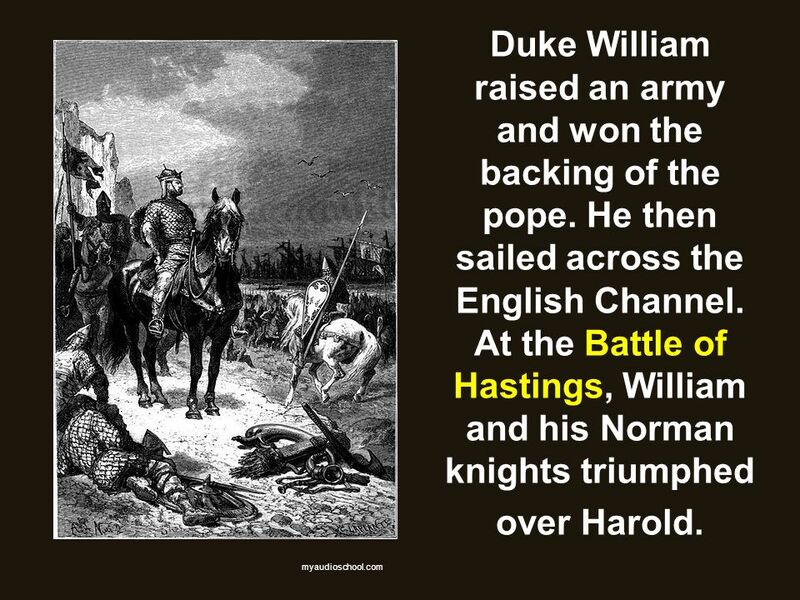 Warm Up: What are some characteristics of Renaissance art? 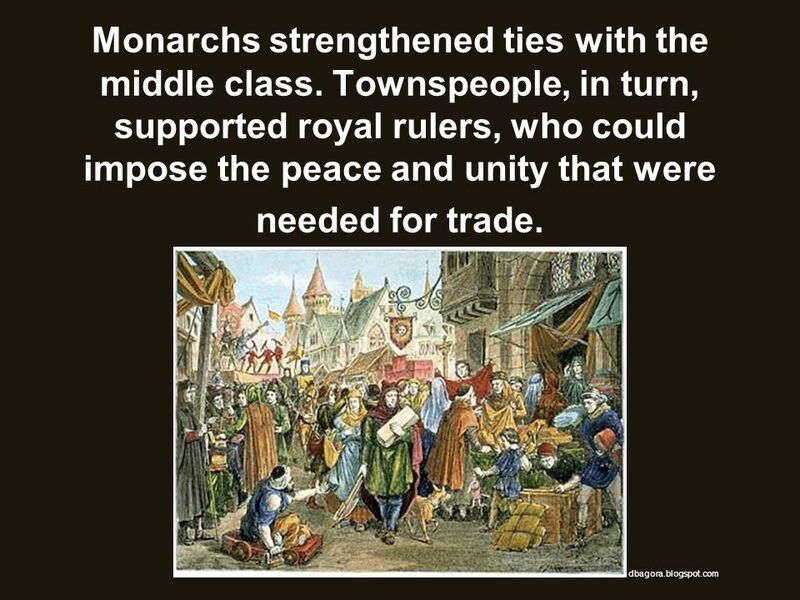 Strong Monarchs in England During this time England was overcome with invaders. 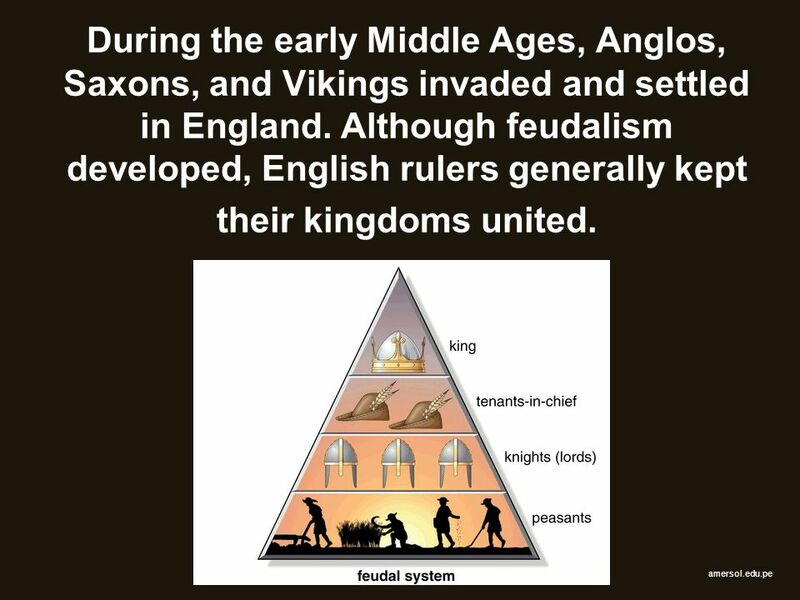 They consisted of Angles, Vikings, and Saxons. 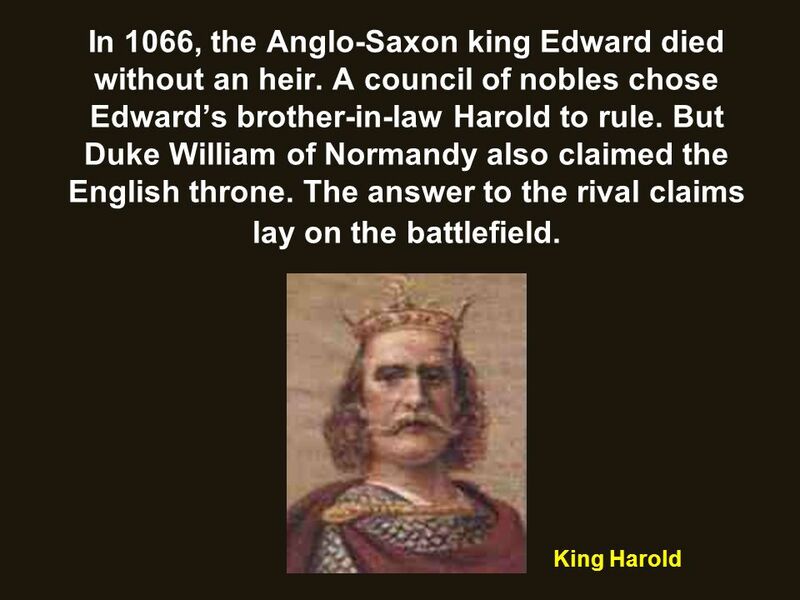 Their king died in the. 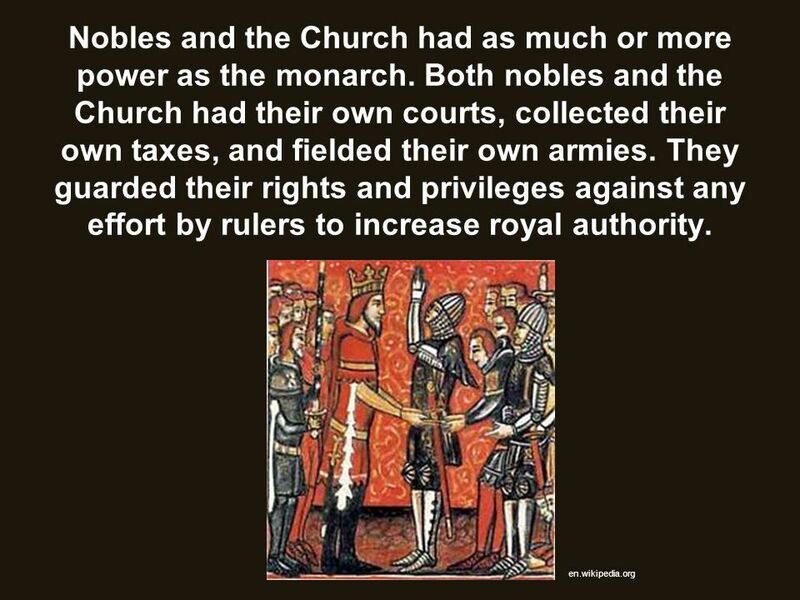  Nobles and the Church had as much power as monarchs (in some cases they were more powerful)  Nobles and Church had their own courts, collected their. 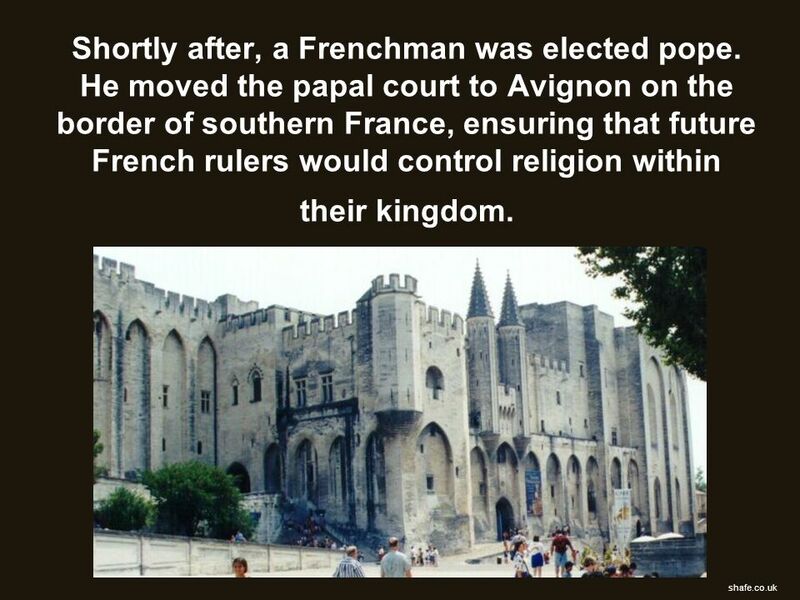 Birth of Kingdoms. 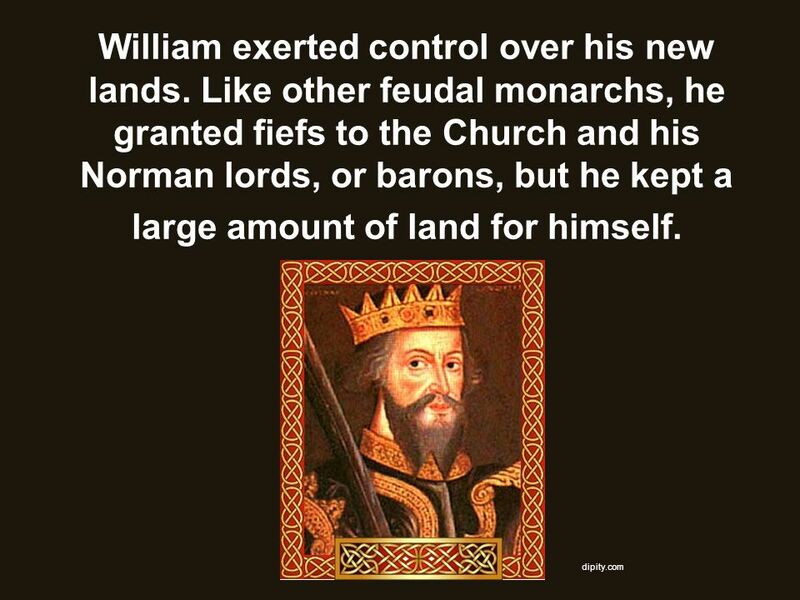 Objectives Describe how William the Conqueror and Henry II strengthened English royal power. 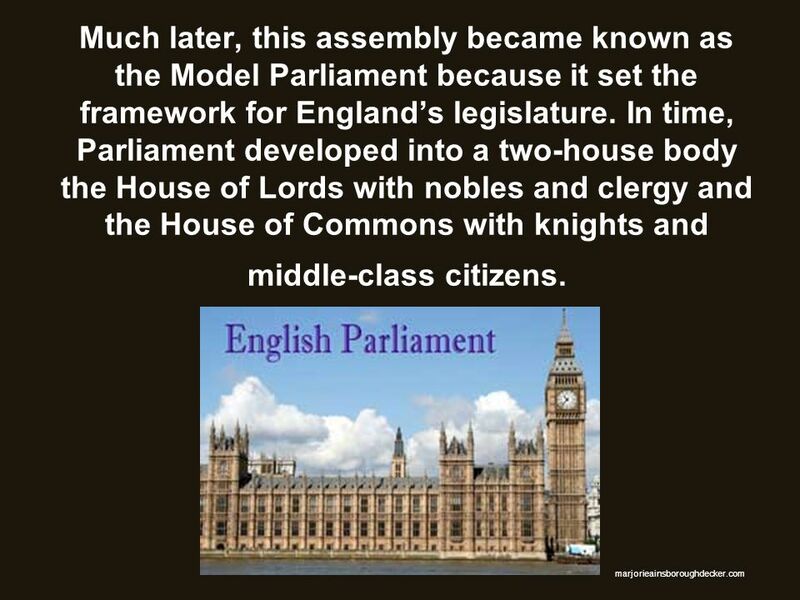 Analyze the traditions of government that. 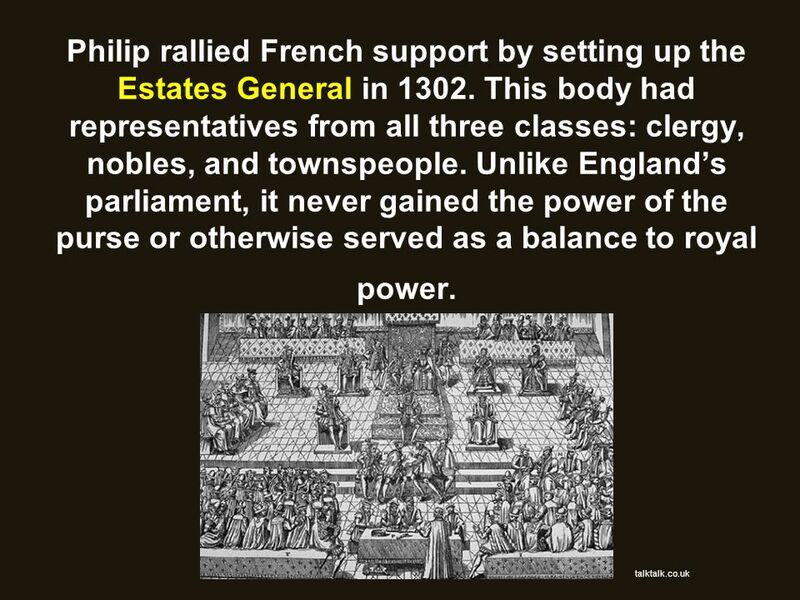 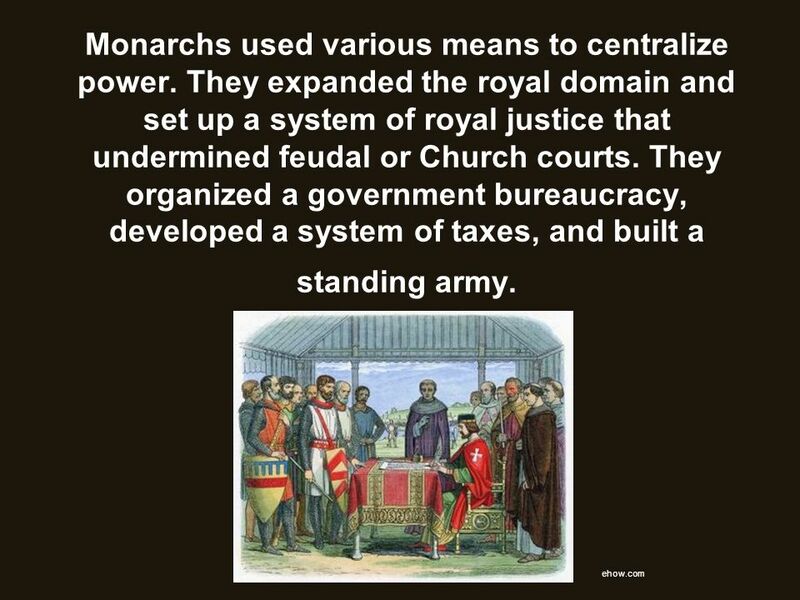 Objectives Learn how monarchs gained power over nobles and the Church.